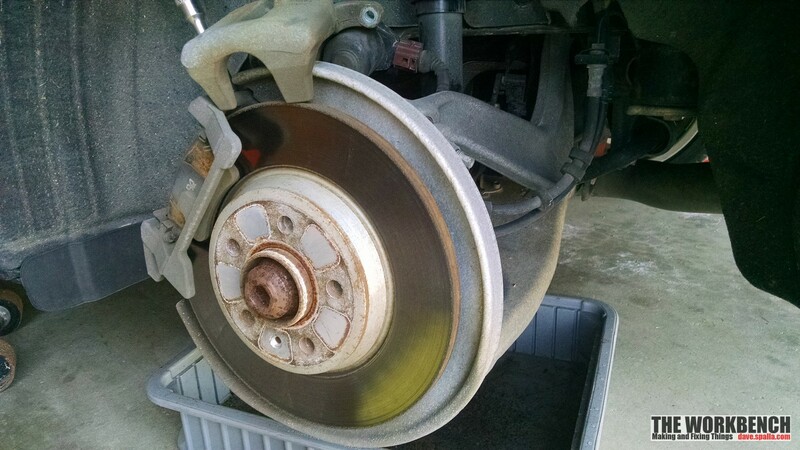 A couple weeks ago, after there had been some considerable rain, the front driver-side brakes were making a loud squeaking sound as if the wear plate was scraping on the rotor. The thing is, there is not a wear plate on the Audi pads, there is a wear sensor that will alert the driver to worn pads through the computer. No idea what was causing the sound, even after removing the wheel and investigating. 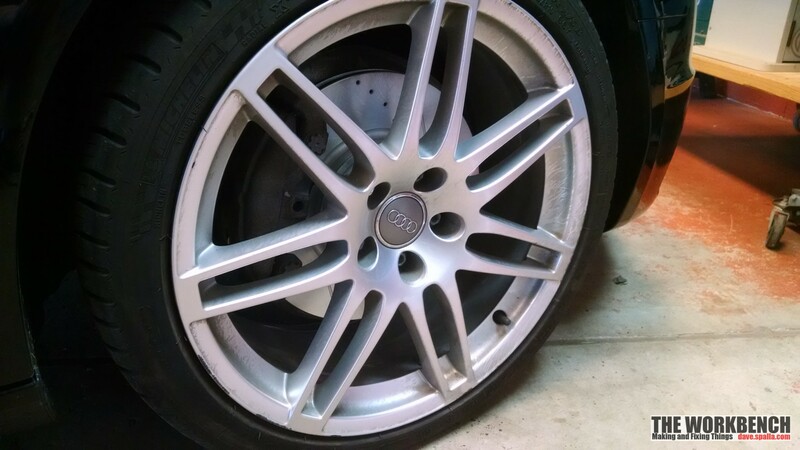 The Audi has 65k miles on it, and the pads were getting thin, so it was a good idea to replace them anyway. After a lot of research and after narrowing the list down to two vendors, rockauto.com and europaparts.com, the brake hardware was purchased from rockauto.com. 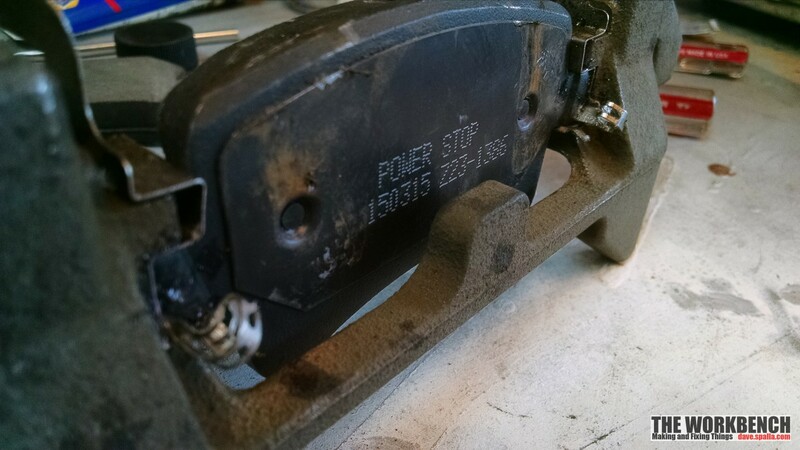 The kit that chosen was the PowerStop brake kit. 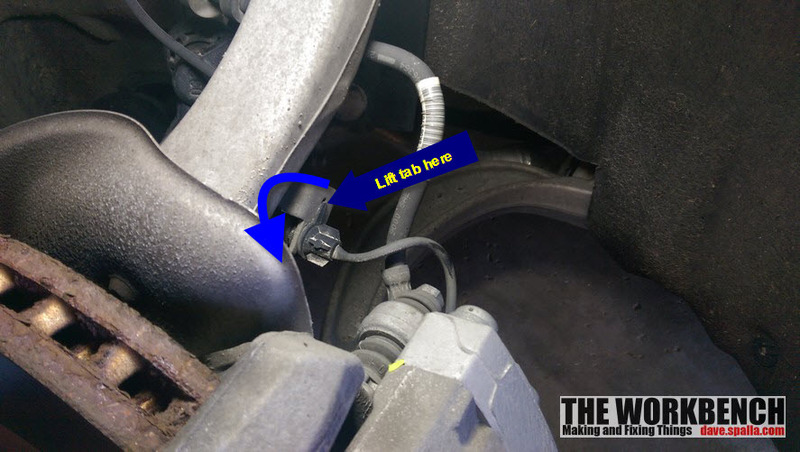 This is not intended to be a step-by-step procedure, the assumption is that the reader has experience performing this type of work, and wants to know specific tips or tricks to completing the work on an Audi. 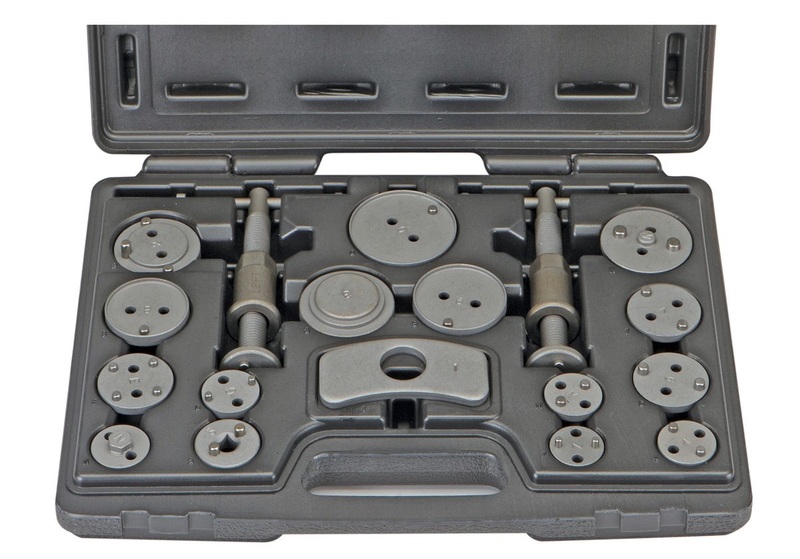 The usual metric sockets and wrenches are needed, in addition to the basics there are a few additional tools needed. 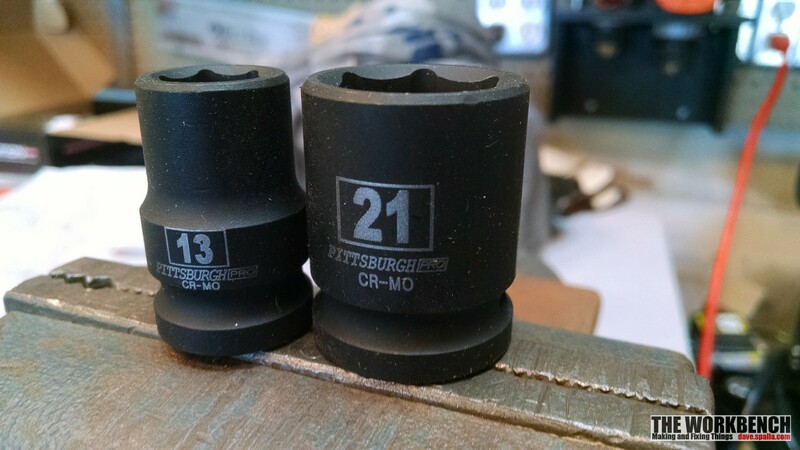 First is a good set of Torx bits for a socket wrench. 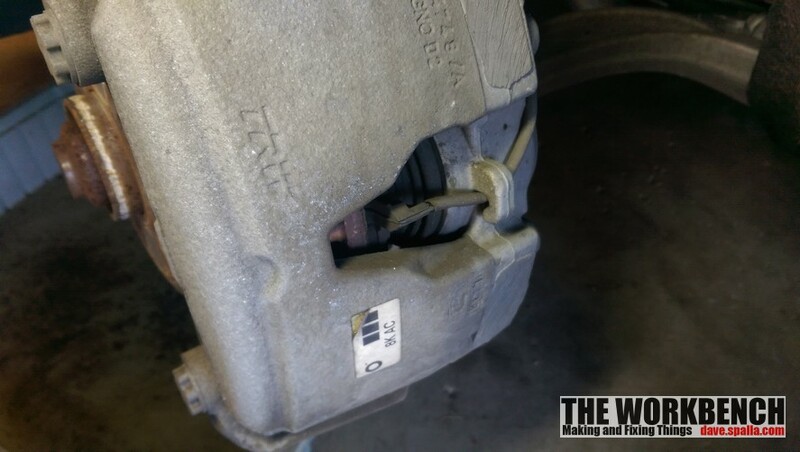 Although not required, a brake caliper kit makes life easier. 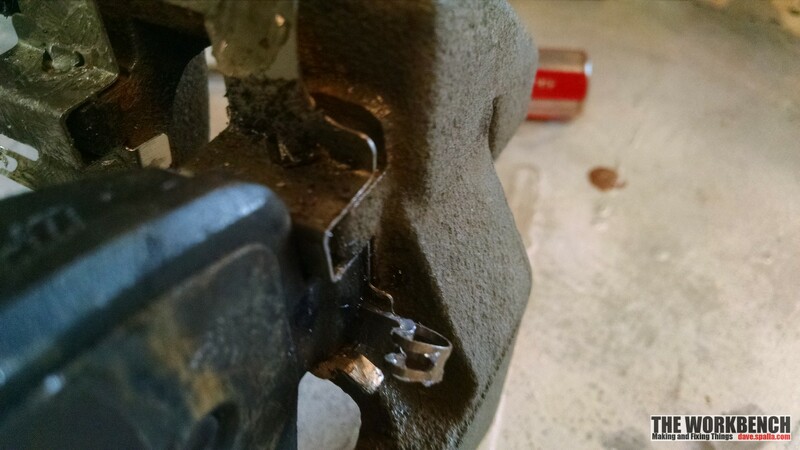 The one used for this procedure is the Harbor Freight caliper service tool. 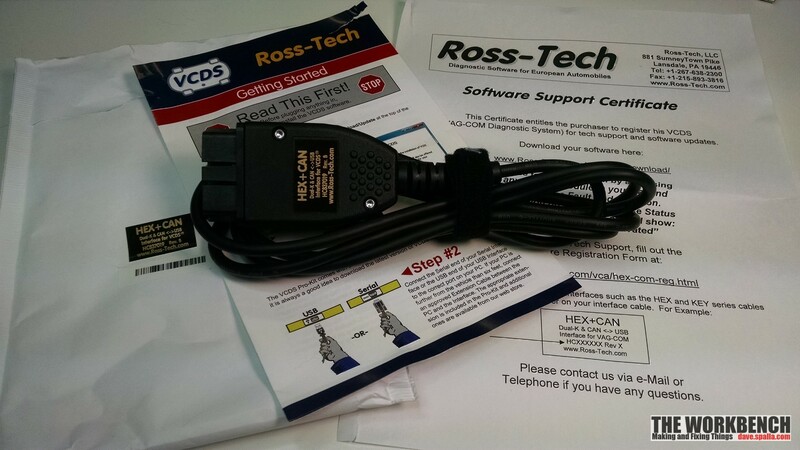 The final tool is a software/cable combination made by Ross-Tech. 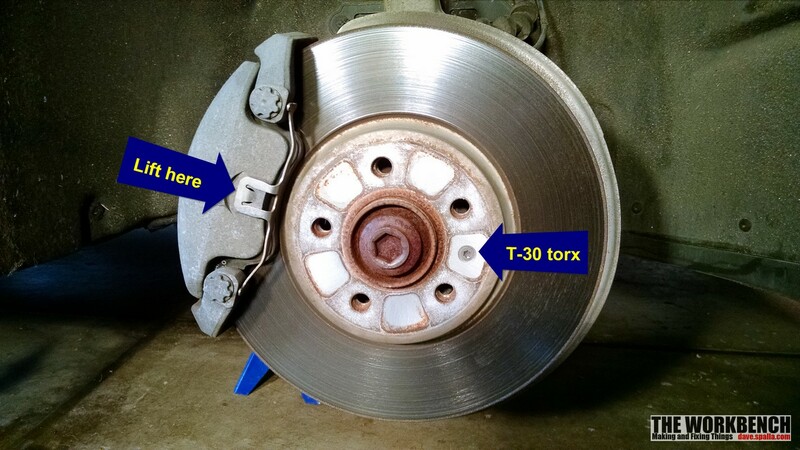 It’s not possible to (safely) do the rear brakes without the Ross-Tech software (yes, there are people in forums that have found workarounds, but why risk damaging the motors?). Choose side to get started with, in this procedure the passenger front was the starting point. Make sure that the front wheel is fully turned to allow maximum access to the brake components. 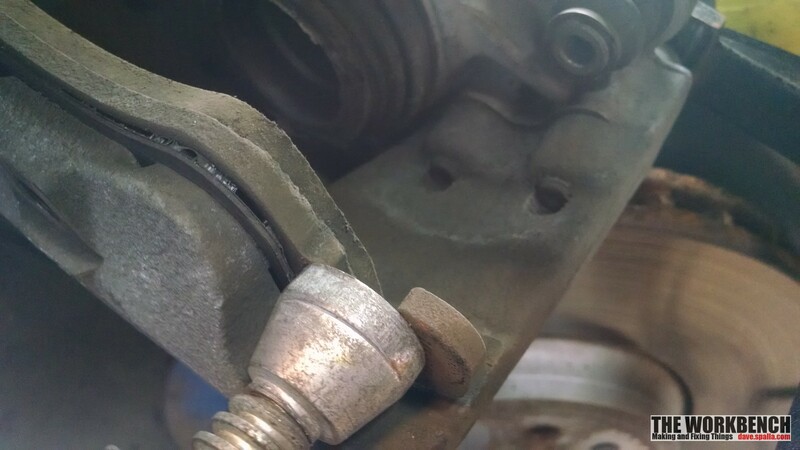 Begin by removing the caliper pin bolts with the 13mm socket, followed by the caliper bracket bolts using a 21mm socket. The bracket bolts will require a breaker bar (or impact drive) to remove as they are quite tight. Next remove the spring clip on the front side. 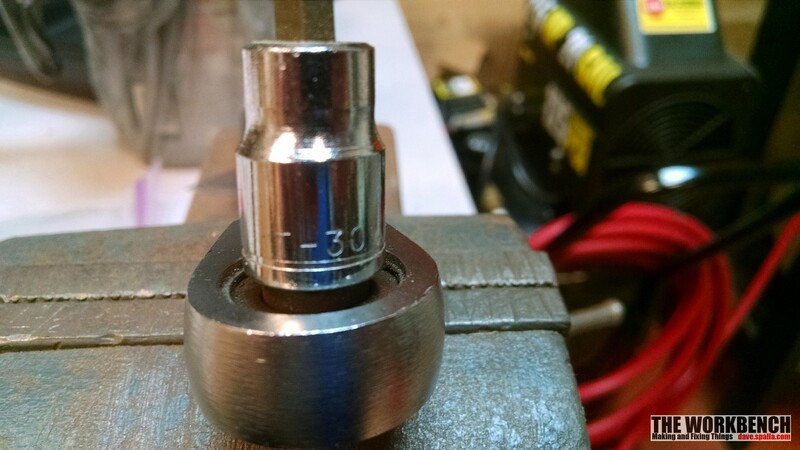 Using a T-30 torx driver, remove the flat-head bolt that’s holding the rotor to the hub. 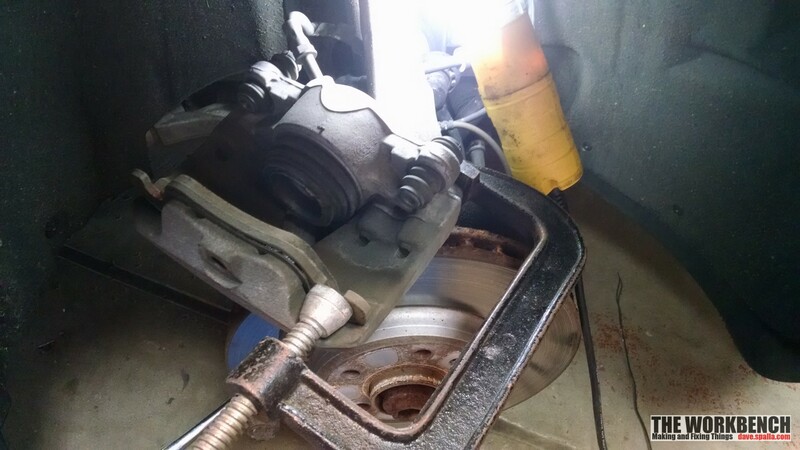 Carefully remove the caliper assembly from the rotor making sure not to put any stress on the brake line. 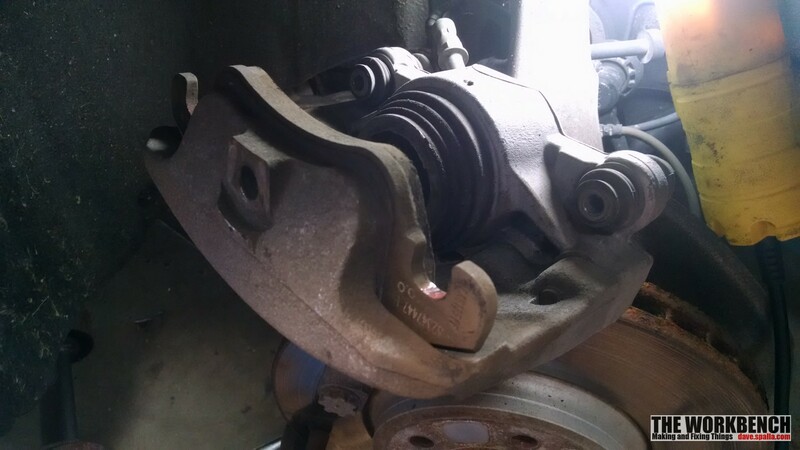 Separate the caliper from the bracket in preparation for pad removal. There are two pads to remove, one is secured to the caliper piston with a clip, the second is glued to the caliper. The first is easily removed with a simple rocking back-and-forth motion until released. 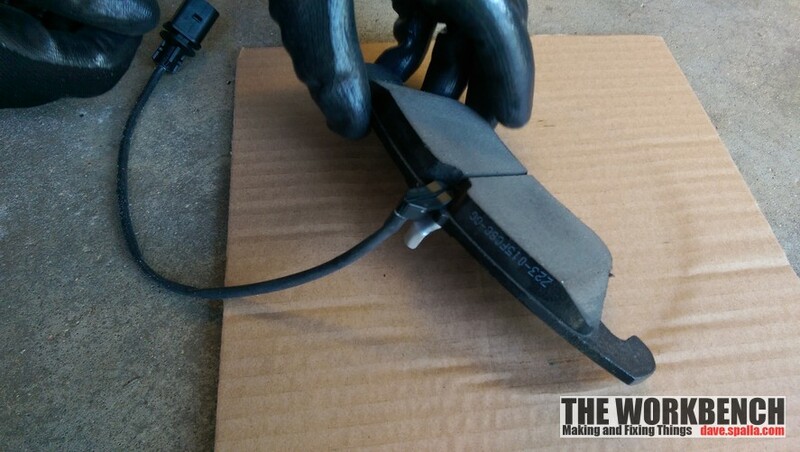 The glued pad must be removed with a c-clamp, slowly applying steady pressure until the pad is separated from the caliper. 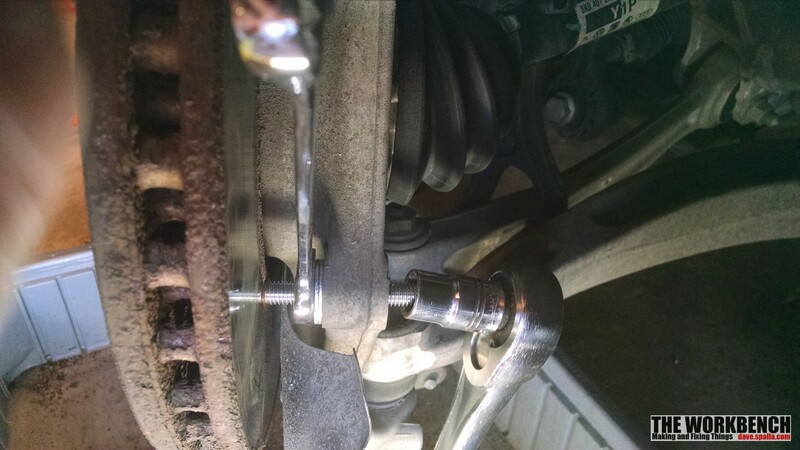 Secure the caliper to the strut spring with piece or wire or zip-tie to keep it out of the way. 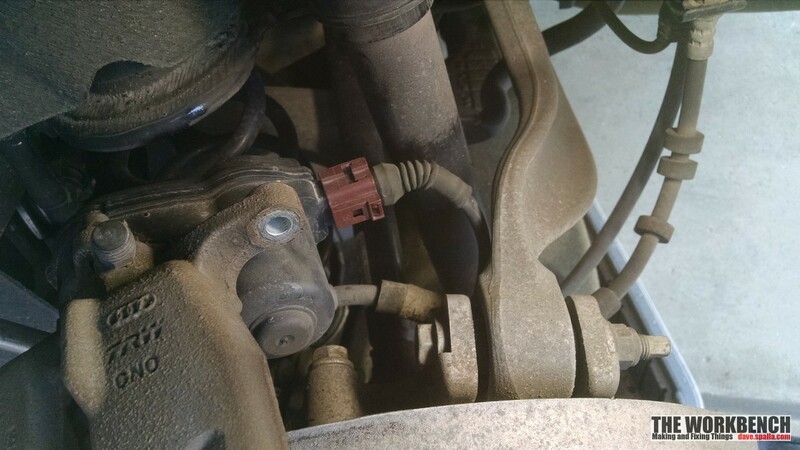 This also ensure that no undo strain is put on the brake line. With that completed it’s time to remove the rotor, the least enjoyable part of the process. Stuck rotors are quite common, and the Audi had all four completely stuck. 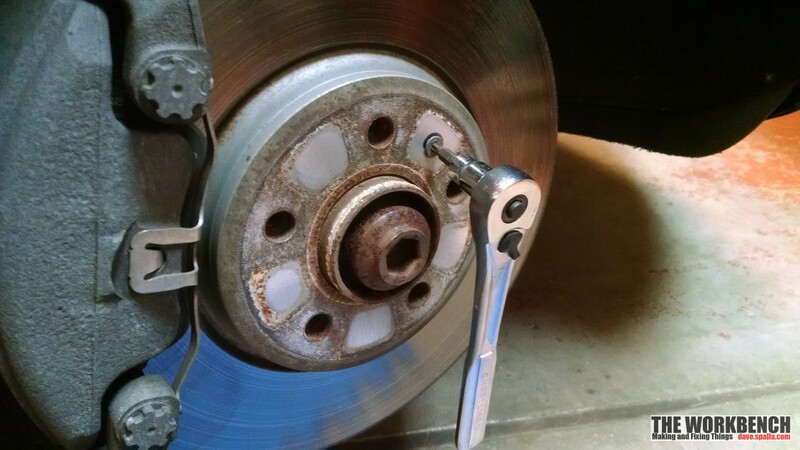 I came across a simple technique for removing a stubborn rotor that does not require pounding with a rubber mallet. Insert a bolt through one of the caliper mounting holes, add a couple washer and nut. Holding the nut, run the bolt in until it touches the rotor. In the case of the Audi, the bolt touches the inner edge and not the rotor surface which is important if they are going to be resurfaced. 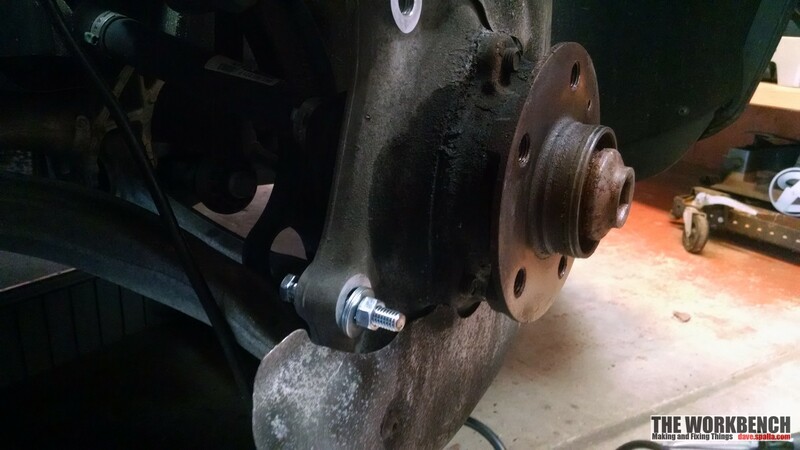 Spray some WD-40 around the hub area and in each of the lug bolt holes. After letting it soak in for about 10 minutes, hold the nut, turn the bolt slowly. Continue this until the rotor pops free. 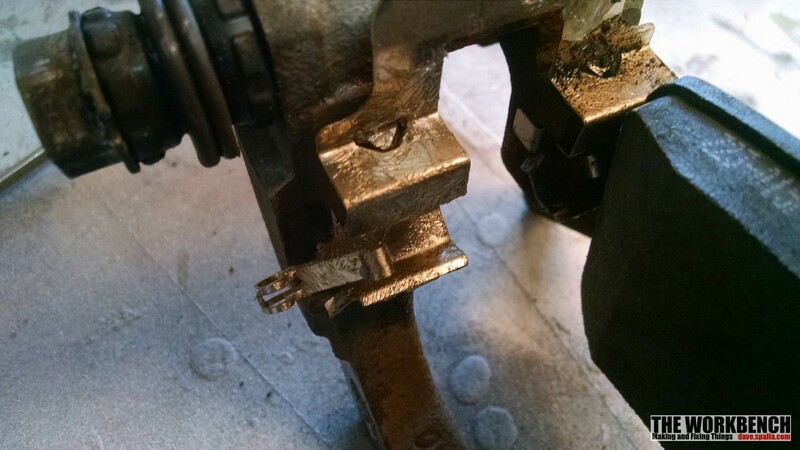 To push the caliper piston in, use a c-clamp because the brake caliper service kit will not fit on it. Install the new hardware and reassemble. The driver side is slightly different in that it has the wear sensor that should be replaced with the new pads. The cable is removed by lifting a retaining tab and rotating to the left. Installing a new sensor in the replacement pad is simple, just press it into place (it’s held with a spring clip). That completes the front end! The only complicating factor on the rear brakes is the electric motors for the e-brake assemble. As stated earlier, the Ross-Tech tool is really the only way to do this work without fear of damaging the motors. 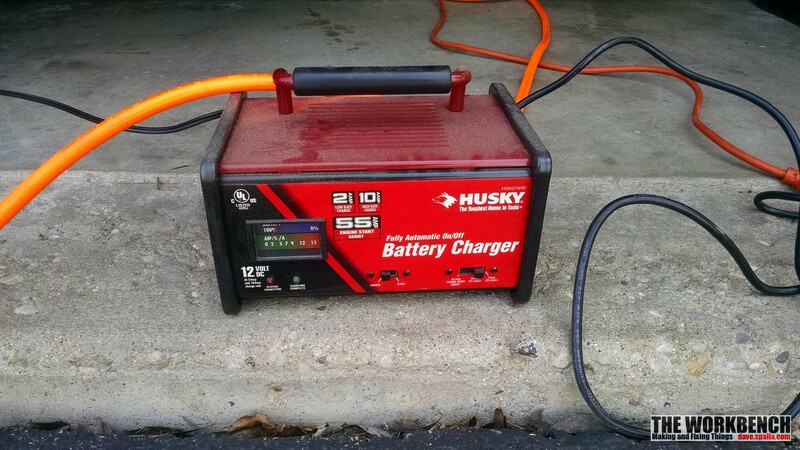 Following the Ross-Tech guidelines, a battery charger was connected to the battery to avoid a “low current condition”, also because the ignition will on on for a couple hours. Same as the front, remove the caliper bracket bolts and caliper pin bolts. Breaker bar will be required. Separate the caliper from the bracket, as in the front. 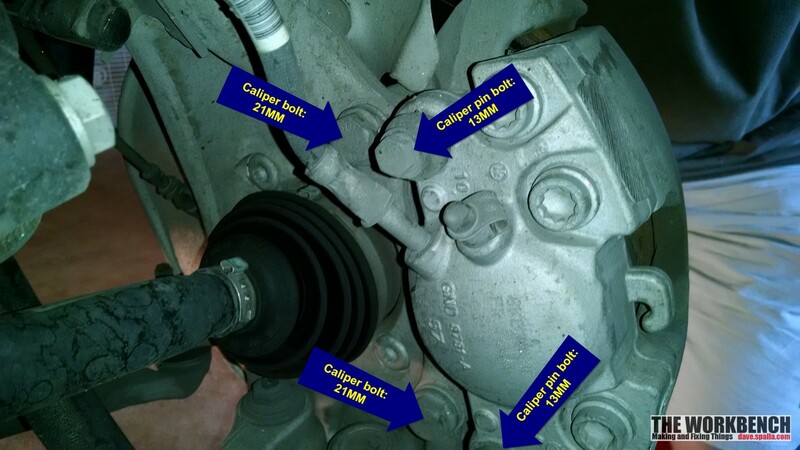 Once the e-brake motors have been run out (using the software), the caliper piston can be depressed using the caliper service kit. 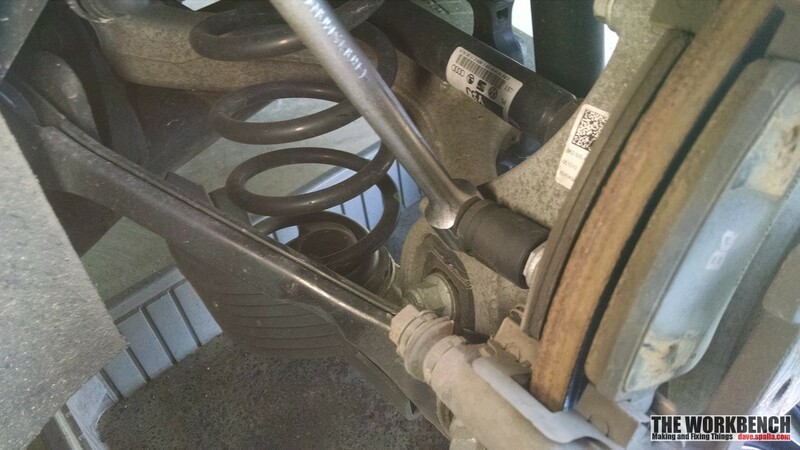 Secure with wire or zip-tie to the strut spring. 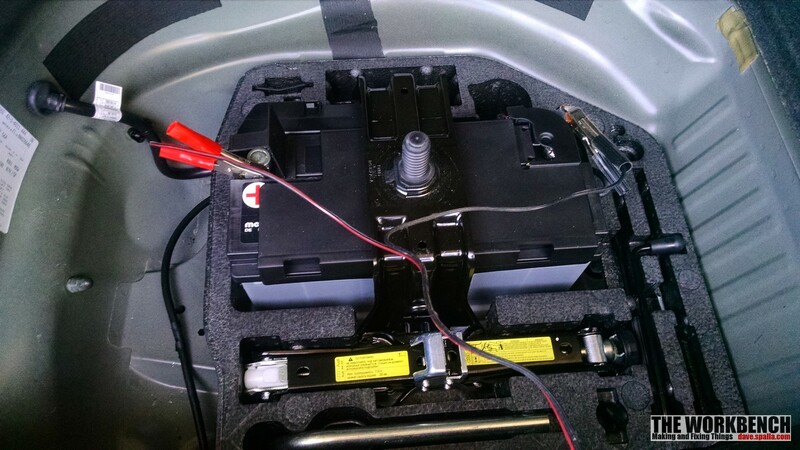 The rear pads are installed slightly differently, as there are spring clips to be aware of. Make sure to liberally use lubricant. Test that the pads can move freely, and that the spring can move the pads outward. After the work has been completed and all parts reassebmpled, use the Ross-Tech software to take the e-brakes out of maintenance mode. That’s it, new brakes and rotors have been successfully installed! 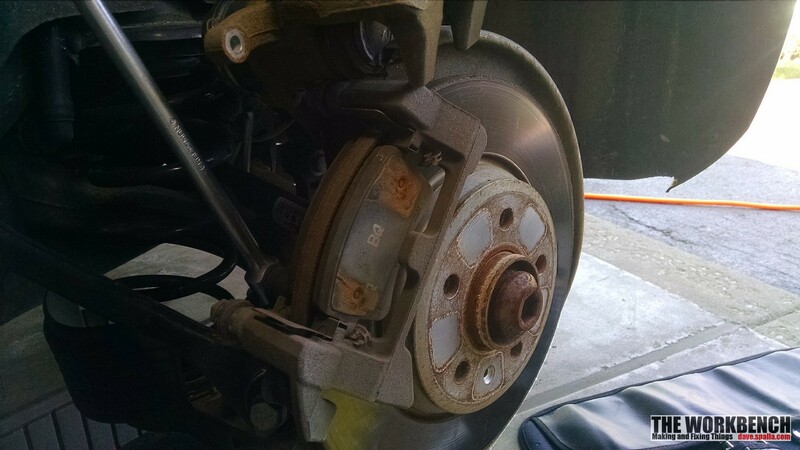 As a remimber there is always a break-in procedure for new pads, and these are no different. PowerStop has a recommended break-in procedure for the pads and rotors in this kit, which should be followed.